Large Man with Back Hip Shoulder & Neck Pain, Stearns & Foster Estate Luxury Plush King Mattress? Home → Pain → Back Pain → Large Man with Back Hip Shoulder & Neck Pain, Stearns & Foster Estate Luxury Plush King Mattress? I purchased a Stearns & Foster Estate Luxury Plush King Mattress. 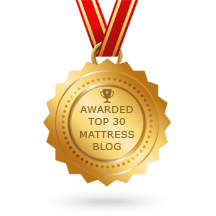 Having back, hip, shoulder and neck pain along with my weight of 230 pounds, I felt it would be the right mattress for me after testing it for about 30 minutes, in terms of comfort. Most of the reviews I read, (after the fact), about that mattress were not good. Now I have serious doubts. I still have time until the delivery date. What is your professional opinion and recommendation? S&F used to be the Cadillac of the industry. Since being purchased by Tempurpedic in 2013 and adding all that memory foam to every model, starting in January of 2014. They are no longer the quality mattress they once were. 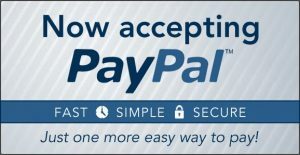 I suggest that you cancel your sale and start over. This mattress will lose its shape in a matter of months, under a man your size. Shopping for comfort is a mistake, these days. All name brand mattresses are using memory foam, which produces wonderful initial comfort, as to “make the sale”, but memory foam loses its comfort and support quickly. The purpose of this reduction in quality, is to make you a much more frequent buyer than every before. And, don’t be taken in by the warranty. Memory foam is not only a lousy product, it’s diabolical…in that it will return to it’s original shape when you get off of the mattress….so that you will not prevail in a warranty claim. My wife and I are about your weight…just a few pounds less. We tested a Simmons Beautyrest Black in luxury firm, and used a 2″ soft Talalay Latex mattress topper to go with it. After 4 years, the mattress and topper remained in like new condition. That bed is now being used by our son and his wife. The key to that was the latex topper. Latex is far more comfortable and resilient than any other type of upholstery material. It absorbs much of your body weight, which in turn, extends the comfort life of the mattress. That mattress, today, is called the Simmons Beautyrest Black Ava Luxury Firm. Here are links to that mattress and to the latex toppers. Delivery is free and there’s no sales tax. For chronic neck pain, there’s nothing better than the Pure Bliss Latex/Down Pillow. Made of finely chopped 100% all natural latex, it behaves like a down pillow, in that it molds around your head and neck any way you want. But unlike a down pillow, it doesn’t flatten out. I’ve been using this pillow for my arthritic neck pain for the last couple of years. Thanks to that pillow, I no longer live with that pain. Most days are totally pain free.